Henderson, Ky – Henderson Community College is proud to announce the award winning photography exhibit, The Photo Ark, will be on display in the Preston Arts Center from January 20- March 15. 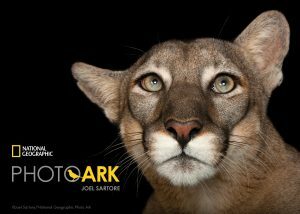 Created by Joel Sartore, this exhibit looks to capture every species on earth, and this exhibit will include some of the most awe inspiring images. The interaction of animals with their environments is the engine that keeps the planet healthy for all of us. But for many species, time is running out. When you remove one, it affects us all. The National Geographic Photo Ark is a multiyear effort to raise awareness of and find solutions to some of the most pressing issues affecting wildlife and their habitats. The Photo Ark’s three-pronged approach harnesses the power of National Geographic photography and the bold ideas of our explorers. Led by National Geographic photographer Joel Sartore, the project aims to document every species living in the world’s zoos and wildlife sanctuaries, inspire action through education, and help save wildlife by supporting on-the ground conservation efforts. The exhibit is free and open to the public. A lecture series around the exhibit will be announced soon.